Turn your cuddly friends into wearable gifts and jewellery, ready to accompany you on your adventures! 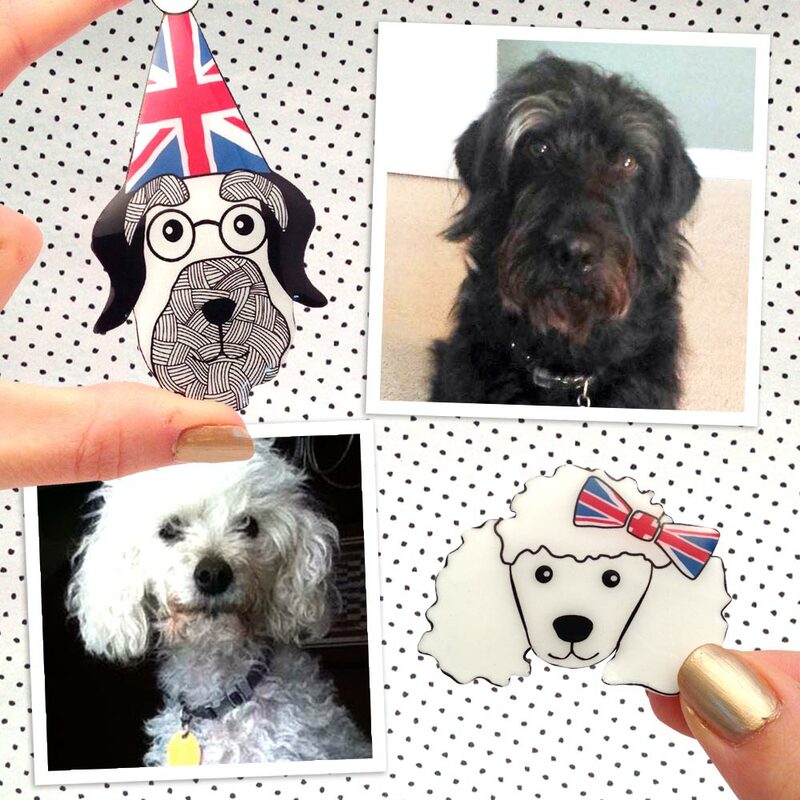 Using photographs of your pet(s), these custom brooches are handmade from shrink plastic and printed with a bespoke illustration. Hand cut and baked, each brooch is then coated with resin for extra sparkle and protection. 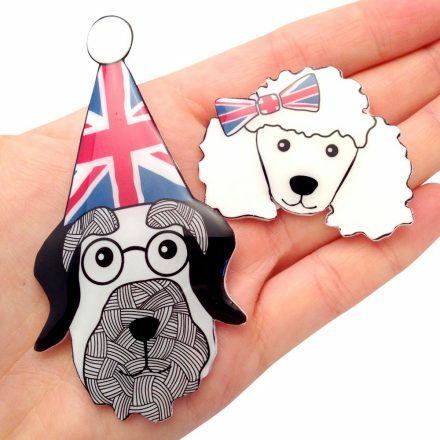 Proofs of your illustration(s) will be forwarded to you for approval before your brooch is made. 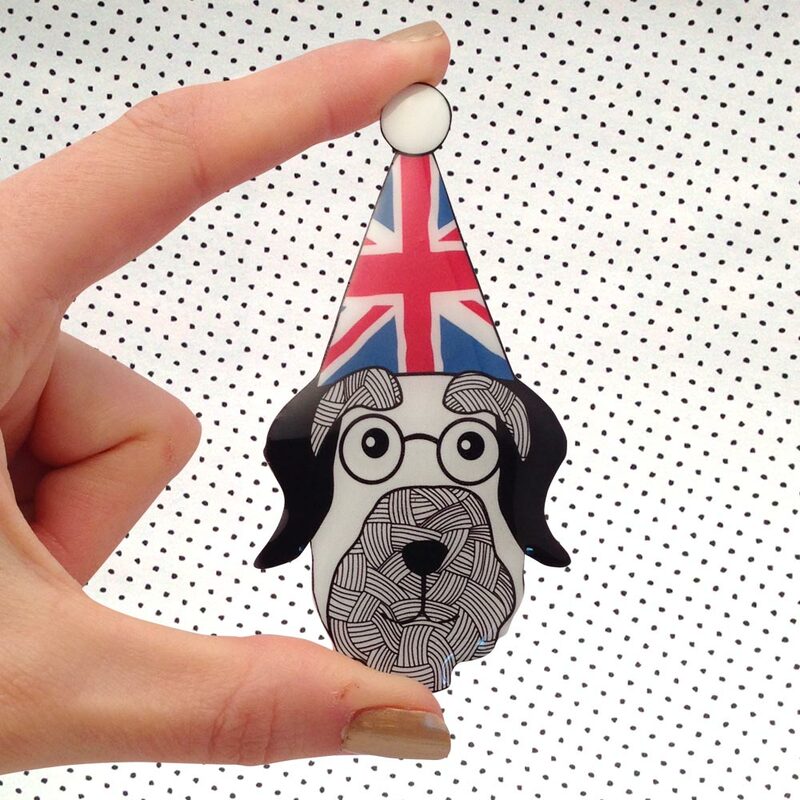 As these are made-to-order, please allow up to 5 working days for your initial illustration(s) to be produced for approval. All pet accessories and colours can be customised, and if you'd like to introduce an accessory not yet seen in my range before, I will do my best to accommodate it! Please note that these pet portraits are created using the drawing style seen in my existing range. I will do my very best to capture your pet's character in my work. 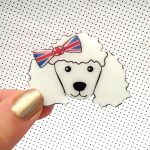 Each brooch is presented on a professionally printed jewellery card and popped into a mini cellophane pouch to keep it safe.